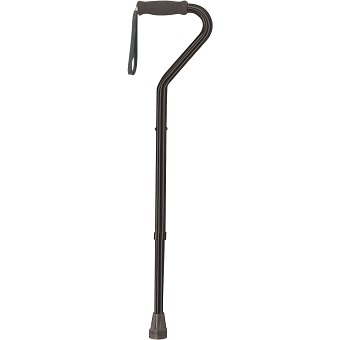 An assistive cane is a walking stick used as a crutch or mobility aid. Canes can help redistribute weight from a lower leg that is weak or painful, improve stability by increasing the base of support, and provide tactile information about the ground to improve balance. A standard walker is a walking aid characterized by its use of platforms at the bottom of each leg, rather than wheels. While wheels reduce friction and make movement easier, standard walkers tend to provide greater support and stability. 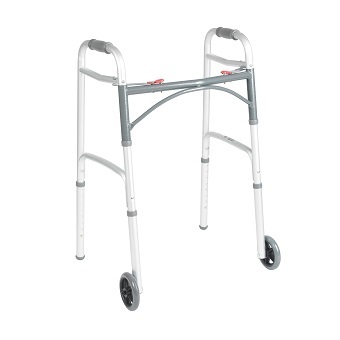 Medicare will even cover a standard walker with two wheels and an optional seat.